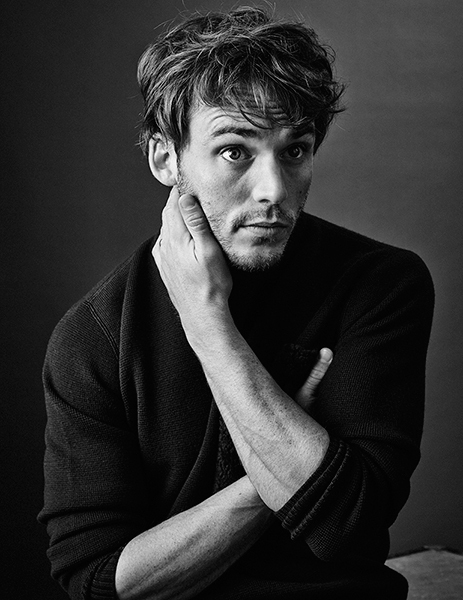 Sam was photographed by Ben Parks for a feature in an upcoming edition of Wonderland Magazine. Via his Instagram & site, Ben has shared four lovely photos from the shoot with us. And they are absolutely stunning. Sam looks incredible as always in this brooding, classic black & white shoot. We are unsure if there will be an interview to accompany these photographs but we will be sure to post it if there is so keep checking back with us! In the meantime, check out all four of the gorgeous images below! 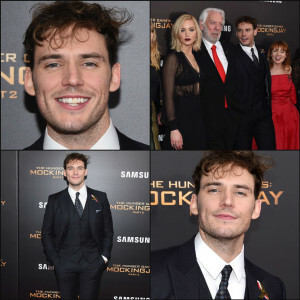 Q&As, interviews, photos of Sam with journalists during the promotion of Mockingjay Part 2, you will be able to find all in this master post, starting with Berlin. 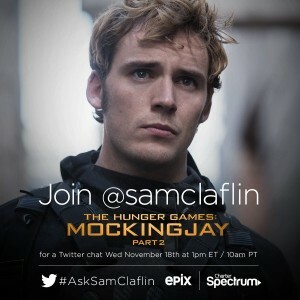 Whilst in America during promotion for Mockingjay Part 2, Sam sat down with Justine Harman from Elle USA as part of their ‘Hot Guy, Cold Drink’ feature. 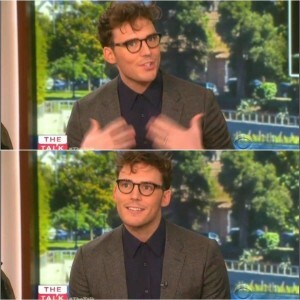 In this great interview he discusses everything from Finnick to fatherhood, to the fickleness of fame. 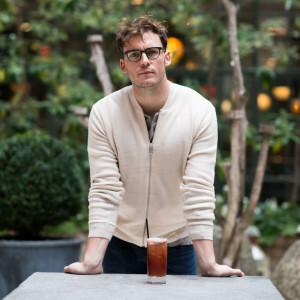 It’s such a great interview, and the photos are gorgeous too! Check it out below. Whilst on the whirlwind USA promo tour for Mockingjay Part 2, Sam once again sat down with the lovely ladies of The Talk CBS. Like last time, it is a brilliant interview. Watch it below…and watch out for the adorable gift that the ladies give him for his & Laura’s new expected arrival – it’s so adorable! 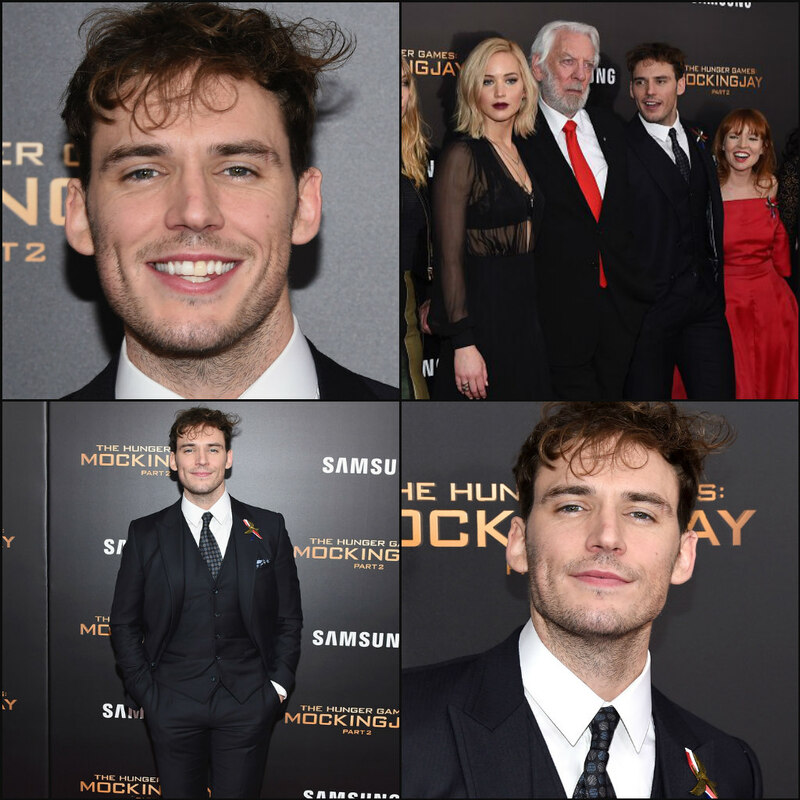 Sam attended the New York premiere of The Hunger Games: Mockingjay Part 2 on November 18th. 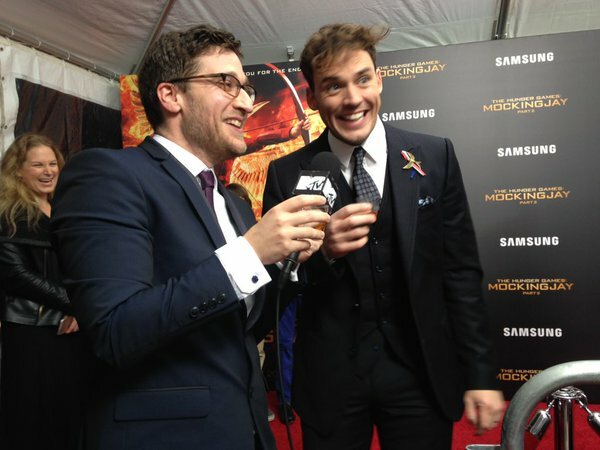 Impeccable as always, Sam chose a black 3 piece Burberry suit, adorned once again with his French Mockingjay pin. Although this was a smaller, more intimate premiere compared to its LA counterpart, there were many people from the press waiting to interview the stars (due to the LA premiere being scaled back with no press coverage in respect to the Paris attacks on November 13th). This included MTV’s Josh Horowitz who encouraged the stars to join him in partaking in some shots of bourbon…and it looks like Sam couldn’t resist! During his time in New York continuing promo for Mockingjay Part 2 Sam took part in a Q&A hosted by Charter Com & Epix HD. 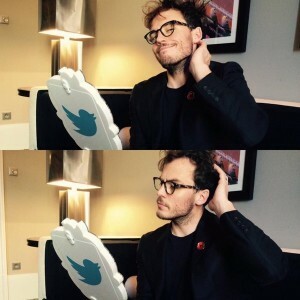 As always, Sam came up with some brilliant answers to the fans questions – see our transcript of the best ones below!